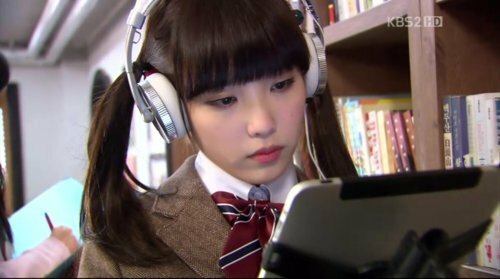 IU as Kim Pil Sook . . Wallpaper and background images in the Dream High club. This Dream High photo might contain reading room, athenaeum, and atheneum.